Welcome to the first Ink Blots post of 2016. I’m sure a lot of you have made a list of sights you want to see, adventures you want to embark in and places you want to discover. I can’t blame you if you have that burning desire to leave home (I am guilty of that, too), but have you ever thought of why? Why the itch? 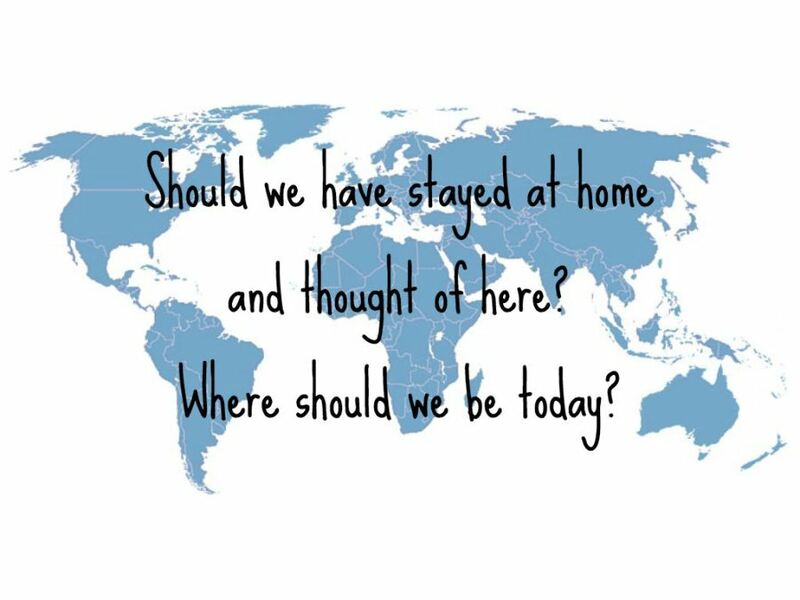 Today’s poem is “Questions of Travel” by Elizabeth Bishop. Written by the award-winning American poet after years of living in Brazil, the piece was first published in 1965 in a collection of poetry of the same title. Bishop, who has lived in and journeyed to various places (North Africa, France, Italy and Spain), has written various poems inspired by her love for travel. Her poetry on her travels was considered the contemplative type—reflecting on her experiences, her emotions, what’s at stake in her journeys and her learnings about life as she immerses herself in a new home. In “Questions of Travel,” for example, she examines the conflicting emotions of yearning to leave home and longing for it. And here, or there . Following Bishop’s contemplations, have you wondered: Why do you travel? Why do you want to leave home? What is home anyway? Can you really go back home again once you’ve left?